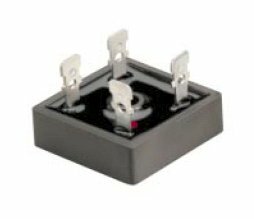 25A, 50V, Bridge Rectifier, made by Rectron. Ceramic type case. Center mounting hole. 1/4" universal terminals.